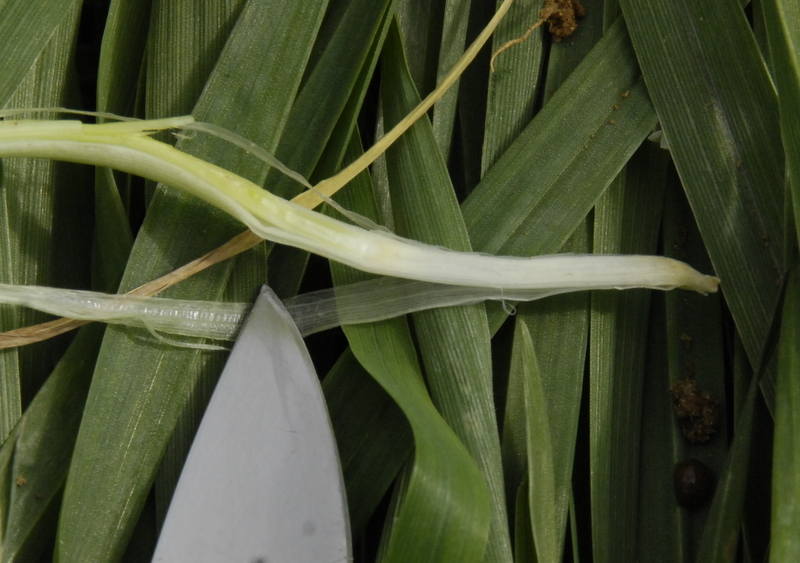 We are seeing some powdery mildew in wheat that concerns us. We can stand some of this disease but it can be a problem especially on susceptible varieties and resistance in varieties can be lost over time. It’s fairly rare to have to spray a fungicide but some cases warrant it. 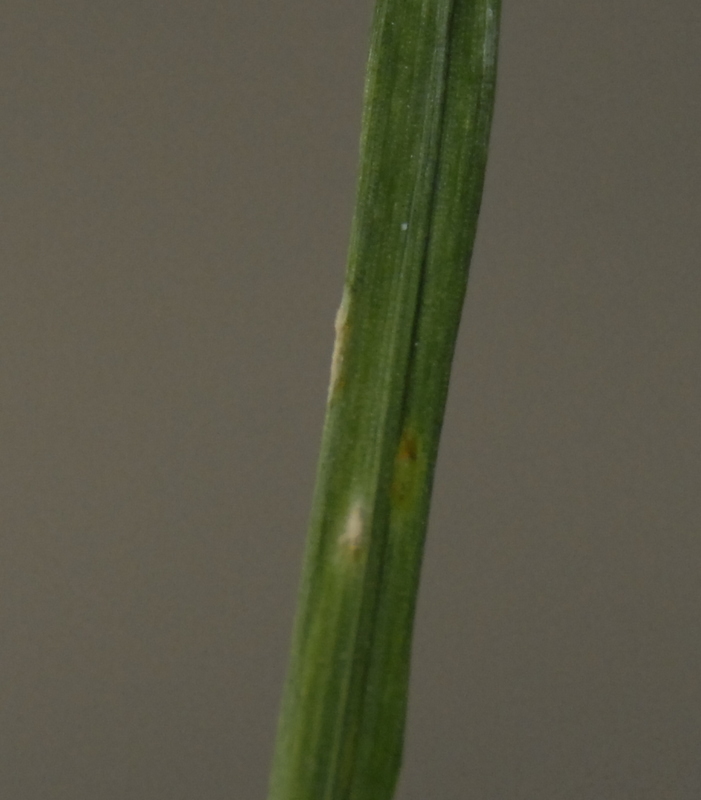 Here’s a link to the UGA Plant Disease library for more information concerning this disease. 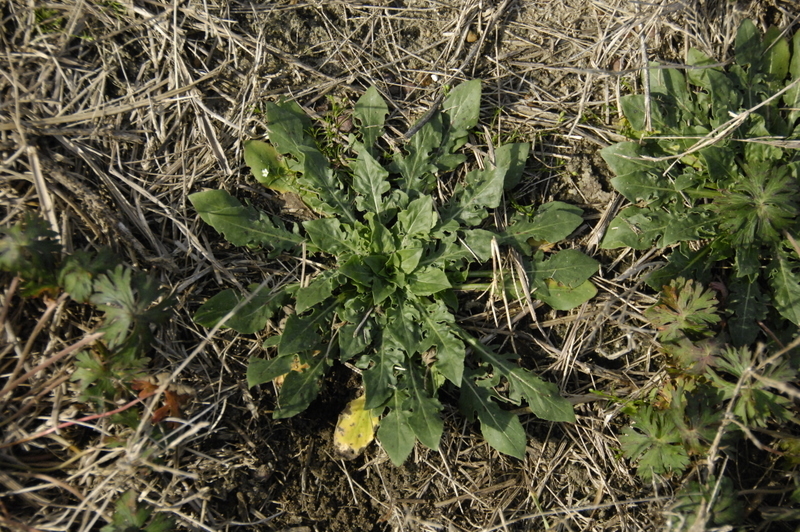 Last week I asked about a photo of a weed and it was Cutleaf Evening Primrose. It’s a problem in reduced tillage cotton production. We need to be watching for it and other weeds this time of year so we can put out effective burndown herbicides for them, and some of our burndown herbicides have plant back restrictions for the crop to be aware of, in other words, we may need to put out a herbicide now so it won’t hurt the future cotton crop. 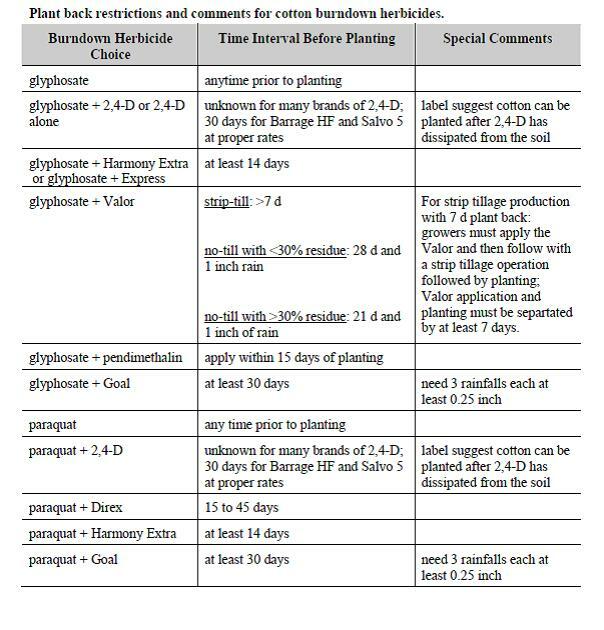 Here below is a plant back restriction chart from Dr Stanley Culpepper, UGA Extension Weed Scientist. This week’s question is this. What can you tell me about this harbinger of spring? 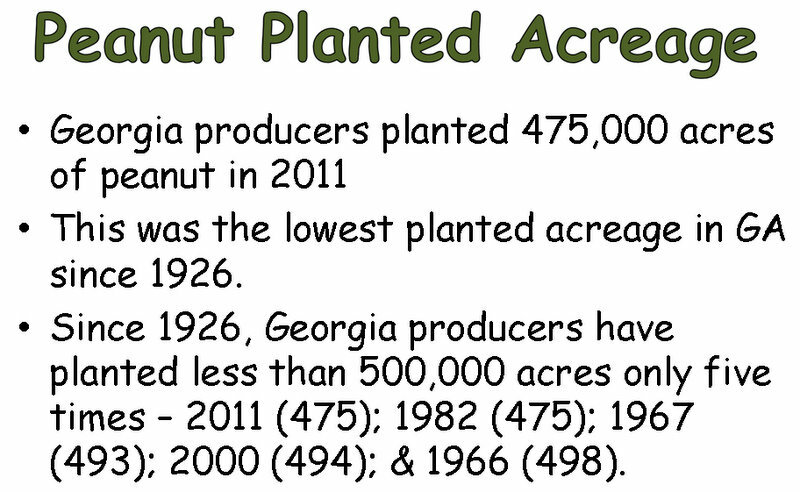 Dr John Beasley, UGA Extension Crop Scientist, recently shared this peanut acreage information. 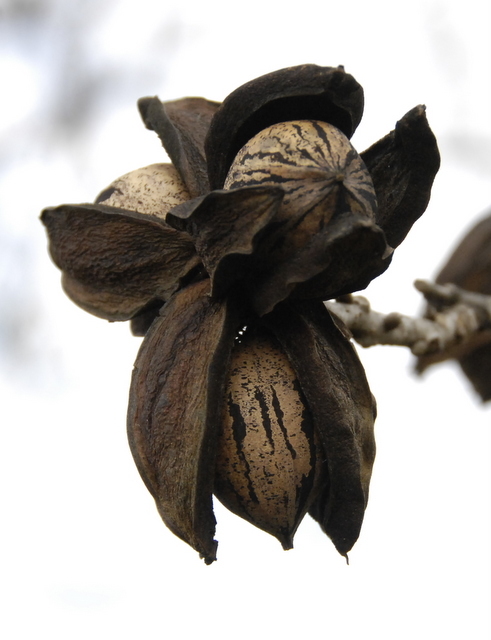 2:50 Pecan Disease Management Jason Brock, UGA Plant Path. We will hold a special meeting on Leap Day, Wednesday, Feb 29 at 10:30 am at the Donalsonville Lions Hall. Dr. Stanley Culpepper, UGA Extension Weed Scientist, will be here to present information from trials conducted last year concerning Cotton Injury as influenced by herbicides, irrigation, seedling vigor, seedling depth, and environmental stresses. Everyone is welcome, the meeting will last about an hour , there’s no meal, but you can earn 1 hour of Georgia Private Pesticide applicator credit. 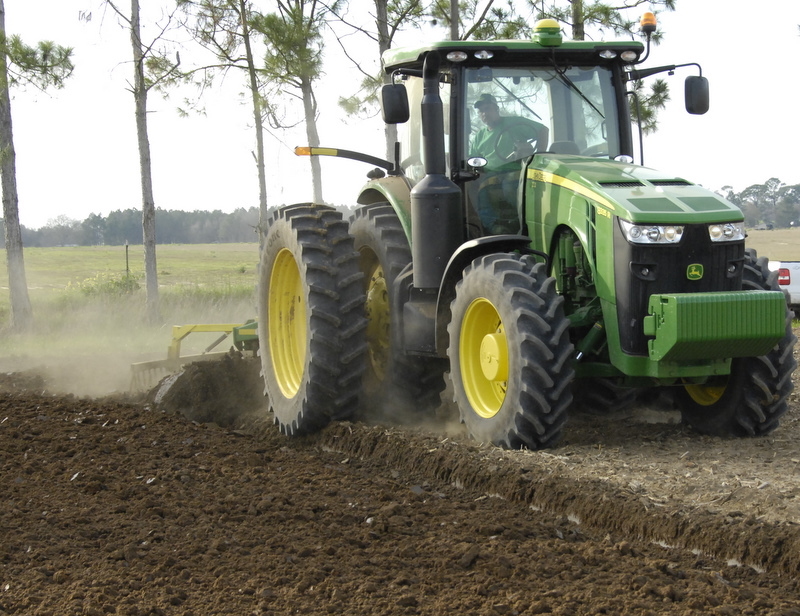 Our local Seminole County Cotton Production Meeting will be held on this Monday, Feb 20 at 11 am at the Lions Hall. We have an excellent slate of speakers to update us on cotton production for 2012 in Southwest Georgia. Speakers will be Dr Stanley Culpepper, UGA Weed Scientist, Dr Guy Collins, UGA Crop Scientist and Dr Phillip Roberts, UGA Entomologist. Call or email us if you are coming so we can plan for the meal. Last week I had a photo of a trail running through a yard, and it was where an eastern mole has traveled underground. The eastern mole, Scalopus aquaticus, is not a rodent but belongs to the mammalian Order Insectivora. Insectivora means insect eater, and this group includes moles, shrews, and hedgehogs. 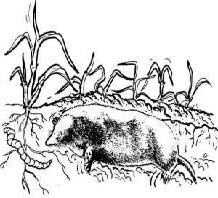 The most notable aspect of the mole is its large, powerful front feet, designed for pushing soil out of its way . The eastern mole has an average total length of 5 ½-6 in and a short, sparsely haired tail 1-1½ in long. The fur is very soft and differs from that of most mammals because it does not project toward the tail. With their fur pointing up, moles can move forward or backward within their tunnels without rubbing their fur the wrong way and trapping soil in their coats. The coat is so fine and dense that it keeps out water and dirt. The fur is slate gray with a velvety sheen. Some of the information above is from Univ of Fla Extension and UGA. We have a UGA publication concerning moles at this link. This week I want to ask about this weed and why it is important right now to pay attention to it. Anita Tabb, NRCS, wants to remind landowners and producers that the rules and regulations created by the Food Security Act (1985 Farm Bill) are still in effect today. This law provided new policy for farming wetlands and Highly Erodible Land (HEL). Wetland cleared before December 23, 1985 were given a prior converted status. Wetlands converted after this date are considered a violation of the Food Security Act and can impact USDA farm program benefits. All land that was determined to be HEL was required to have a conservation plan in place that would meet soil loss tolerance for that field. Seminole County has very few HEL fields but has a large number of acres of wetlands. Please stop by the Farm Service Agency and complete an AD-1026 before doing any pushing of any trees or bringing pastures back into production. Wetlands will need to be delineated from the area being cleared and HEL fields will need a new conservation plan developed. We had some real cold in south Georgia and we are concerned about the effects on wheat for grain. We had lows of 23.6 F. on early Sunday morning and 24.7 F. on Monday morning at our weather station here, www.georgiaweather.net . The low is important but also the number of hours it stays cold is a factor. 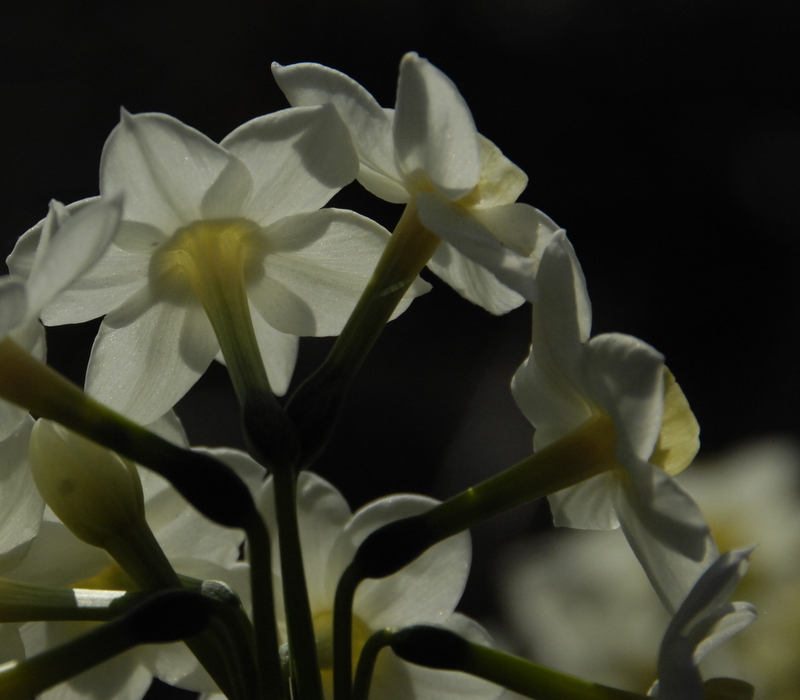 I took the following photos this morning(Monday 2- 13 -12). You can see some wheat has recently begun jointing. The future grainhead is pointed at by my knife blade. It’ll take us a week to really know if we have damage. This has begun jointing and is more susceptible to cold damage. 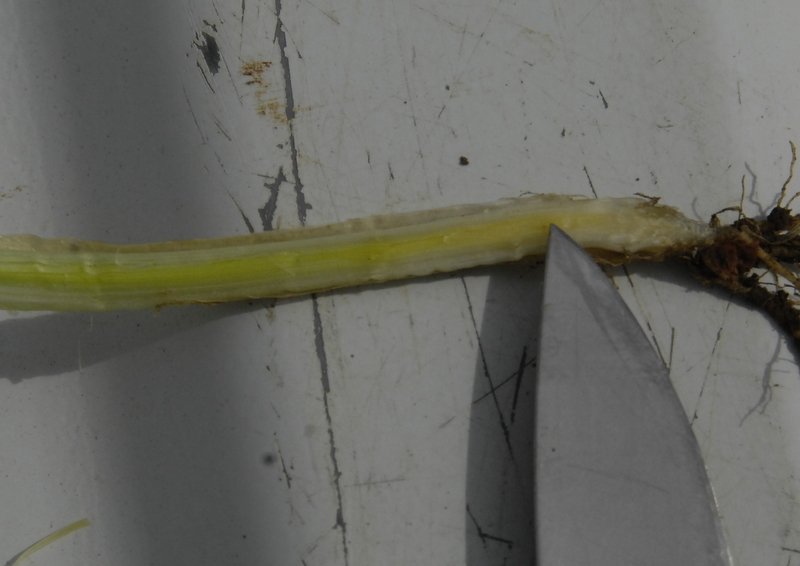 The knife tip is pointing at the grainhead, that has moved up from the base of the plant. This is wheat from another field and you can see that it is less advanced and has less of a chance of being affected by cold at this point. It is just beginning jointing. 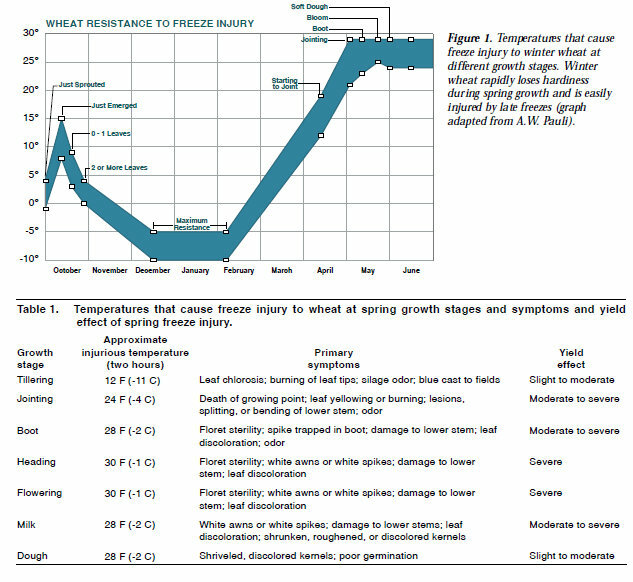 The graph is from a Kansas Brochure concerning wheat freeze injury that was forwarded to me by Kevin Phillips of Pioneer. There’s a link below to the whole publication. 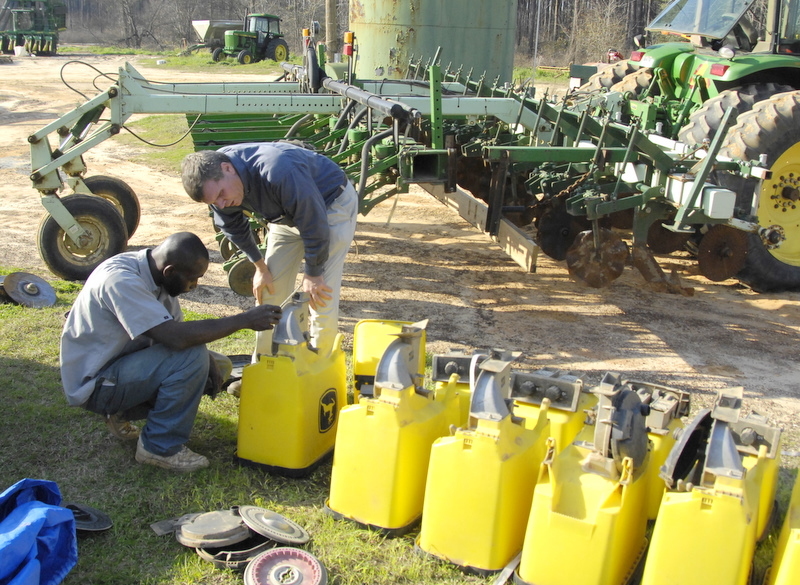 Time to work on equipment to get it ready, especially corn planters. Breaking peanut ground is also going on, putting weed seed deep and disease organisms deep as well. Mark Hanna and Rex are here working on 30 inch corn planters to get them ready for use soon. We thought last week it felt like about time to get on it, but the temperatures this weekend changed our minds. Calvin Atkinson with Dollar Family Farms is here breaking land in preparation for peanut planting. We'll likely plant peanuts earlier as we are seeing thse new varieties do well planted in late April, with their resistance to TSWV disease.